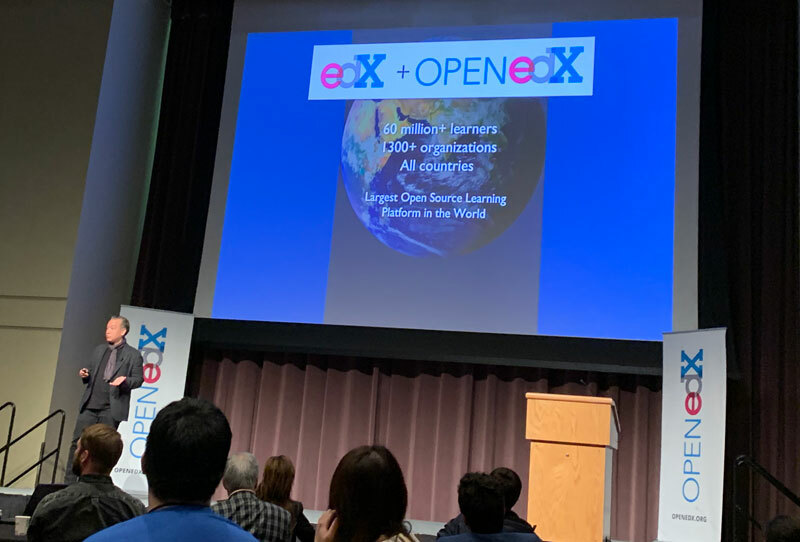 Over 300 developers, educators, and industry leaders participated in the sixth Open edX Conference, celebrated at UC San Diego — “the largest Open edX conference ever”, as Anant Agarwal stated during the opening keynote. The event ran smoothly and was well organized by a team of a dozen edX staffers, who worked on the conference for seven months. New Open edX providers from countries like Argentina and the Netherlands attended for the first time, “to catch up with the community and learn about the future trends”, as Esteban Etcheverry, co-founder of AulasNeo told IBL News. Anant Agarwal, CEO at edX, disclosed that there are over 2,400 instances using this software, with more than 25,000 courses and 45 million learners in 70 countries. Robert Lue presented the most innovative project on the Open edX universe: an extension of the platform, called Blockstore, which will allow to create personalized pathways. This tool, developed with a grant of $6.5 million from Amgen Foundation, notably enhances the edX platform’s user interface. It will be released in September 2019. In the software field, Ned Batchelder, Software Architect at edX, presented the ninth version of the platform, called Ironwood. One of the relevant announcements of the conference was related to the edX consortium’s business strategy: the determination to offer its services as a “Lean OPM” (Online Program Manager). “We are doing it differently from other OPMs. We give universities more control”, said Anant Agarwal, CEO at edX. The main value of the edX (and Coursera, too) offer in this area is the cost of acquisition per learner. Usually, with 2U and other traditional OPMs the cost of getting a student goes beyond $5,000, experts told IBL. All of the talks and conferences were live streamed and recorded via YouTube. At the end of the event, it was announced that the 2020 Open edX conference will take place in Cascais, Portugal.